Vacant lot that is PERFECT for someone who is looking to build an SFR from the ground up. This property can hold two units on the land and may have limited commercial use. The possibilities are endless! This parcel of land is right on a main artery in Hemet (CA State 74) and close to the 215 Fwy. 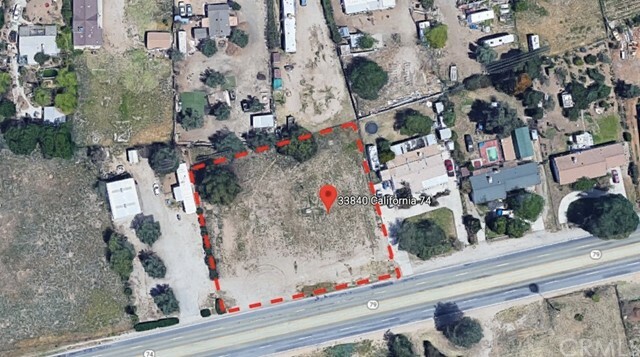 This parcel could be sold separate or together with the adjacent parcel (33816 State Highway 74, Hemet). Photo pictured is the two lots together. Thank you for viewing!